Our Performance Tune Up takes a few extra steps to ensure your drive train is performing as well as possible, making you faster. 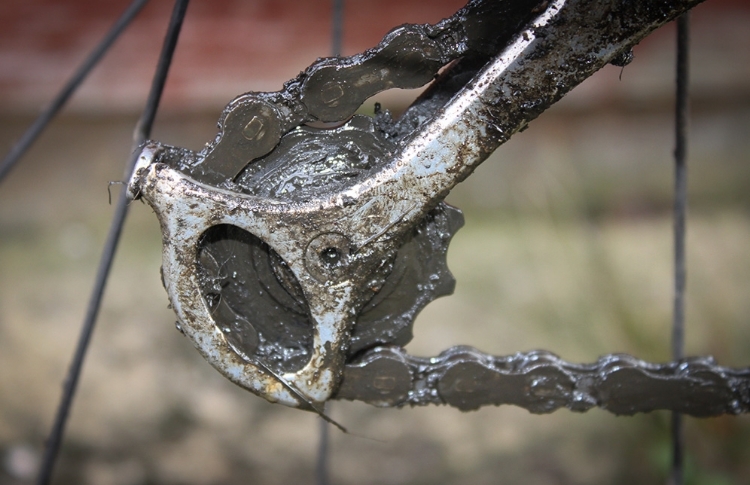 The chain on your bike is an integral part, and it gets dirty. Riding in the winter, the weather alone can cause havoc on a chain's performance, not to mention the salt that they put down on the roads. As you ride, your chain slowly wears itself down as the metal pins rub up against the bushings that rest on your gears. The tiny flecks of metal that the friction creates can accelerate the process, leading to chain "stretch". This is where the chain will no longer properly rest on the teeth of your cassette, causing the chain to jump or miss shifts. If you ride daily, or more than 4 times a week, it's a good idea to have us check you chain for wear, because we can stop problems before they start by replacing worn parts. Degreasing the chain and drive train can help make sure that the chain won't wear too quickly. And getting the extra gunk off the chain, cassette, rear derailleur and chainrings will help ensure that you get crisp accurate shifts. It can also make you faster, as a clean and properly lubricated chain will have considerably less friction than an old, worn or dirty one.